Although Japan is one of the largest whisky producers in the world, the majority of the distillate comes from two companies: Suntory and Nikka. There are a handful of other small/medium sized distilleries but not many. 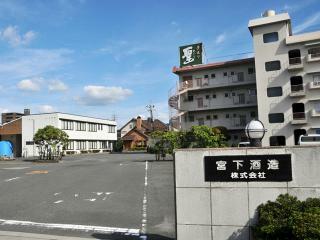 There is now word that another company is joining the whisky distilling club: Miyashita Sake Brewery (Okayama Prefecture). As the same suggests, Miyashita comes from a sake production background. They also produce shochu and beer but I cannot say that I have had any of their products myself. Miyashita decided to give distilling whisky a try in preparation to celebrate their 100th anniversary which will be in 2015. The plans to produce whisky started in December 2011 and actual whisky production started in June 2012. Using a blend of malt from Germany and from Okayama Prefecture as well as local water from the Asahi river approximately 1000 liters of Genshu (new make) was distilled. There were 10 distillation runs and various factors such as the ratio of different malt types, yeast strains and temperature were changed incrementally. The new make is currently aging in oak barrels (I don't have any more precise details on the wood) and is planned to only be laid down for 3 years. When I assume it will be bottled and released to coincide with Miyashita's 100th anniversary. Miyashita believes that its wealth of experience in producing beer and shochu translate well to the production of whisky. 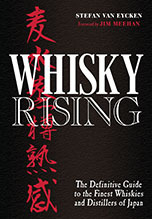 Their goal is to make a uniquely Okayama style whisky. I guess that we'll have to wait a couple of more years to taste what that is. Hopefully this celebratory whisky will be a success and Miyashita will continue to distill whisky adding to the variety and uniqueness of Japanese Whisky. 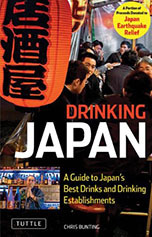 Un belle avenir pour le whisky japonais.